Have you ever been to a rodeo? There’s simply nothing as exciting as watching a rider and his or her horse performing as one unit or watching someone riding a bucking bronco or steer, to say nothing of dressing a goat. And when the best-of-the-best rodeo contestants and fans come together this month in Las Vegas to celebrate the 30th anniversary of the World Gay Rodeo Finals® (WGRF), the excitement will be intense. From October 20-23, people from across the U.S. and Canada will be on hand to participate and/or to cheer on their favorites. It really is the greatest show on dirt. The entire Thursday-through Sunday night schedule is filled with events you won’t to miss. Thursday evening kicks off the celebration with the WGRF welcome and the beginning of the IGRA Royalty Competition with western wear on stage. During the day on Friday contestants get registered and everyone can catch up with old friends while the Royalty competition finishes with interviews and horsemanship that are closed to the public..
Saturday morning marks the official start of the 30th anniversary of the WGRF with the doors and vendor areas opening at 9 a.m. Competition begins at 10 a.m. with the grand entry set for 1 p.m. When the evening rolls around it’s time for the 2016 IGRA royalty court to step down and the new court to step up and be crowned. And by 9 p.m. it’s time for a concert featuring country music artist Donnie Lee Strickland followed by a dance. 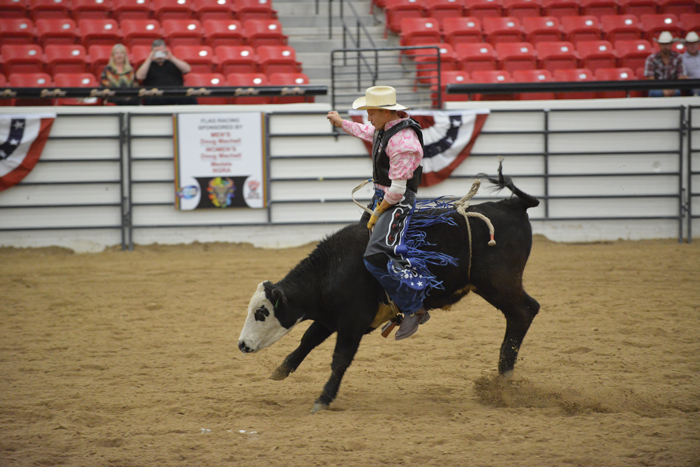 Sunday starts the second day of the rodeo with a 10 a.m. start time and a 1 p.m. grand entry. Then at 8 p.m. it’s time for the awards to be presented. Once the awards are handed out, it’s also the time when people start thinking about all the fun they’ve had, trying to remember tomorrow’s checkout time and wondering what excitement next year’s rodeo will bring.